Carrying forth the legacy of academic excellence, GL Bajaj Institute of Management and Research, Greater Noida organized the week long Induction Program on the theme of “Corporate Expectations and Insights for Aspiring Managers” from July 09,2018 to July 13, 2018 for the newly enrolled students of PGDM Batch 2018-2020. 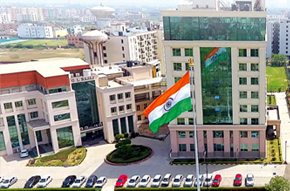 The glittering ceremony commenced with chanting of auspicious shlokas of Saraswati Vandana in the presence of the Chief Guests Mr. Arvind Mehrotra, President - Infrastructure Management Solutions, NIIT on July 9, 2018 along with Mr. Pankaj Agarwal, Vice Chairman, GL Bajaj Educational Institutions and Dr. Urvashi Makkar, Director General, GLBIMR. The Corporate Knowledge Sharing Sessions began with deliberations from Mr. Mohan Shukla, Chief External Affairs, Bharti Enterprises Ltd, Mr. Ram Jalan ,Chief Marketing Officer, Wave Group, Mr. Alok Shankar, CEO, Fitbit and Mr. Avijit Ganguly, Country Retail Manager, Fitbit amongst other eminent dignitaries who attended this grand event and shared their wisdom with the future management professionals. Mr. Pankaj Agarwal welcomed the students to the GL Bajaj family and conveyed his best wishes to PGDM Batch 2018-20.He shared that PGDM is a degree which will empower students and will provide them with lot of opportunities to learn new things. Mr. Agarwal assured students that by putting their continuous hard work during the 2 years of PGDM Program, they can achieve excellent placements, taking forward the legacy of the previous batches, including the recently graduated PGDM Batch 2016-18. 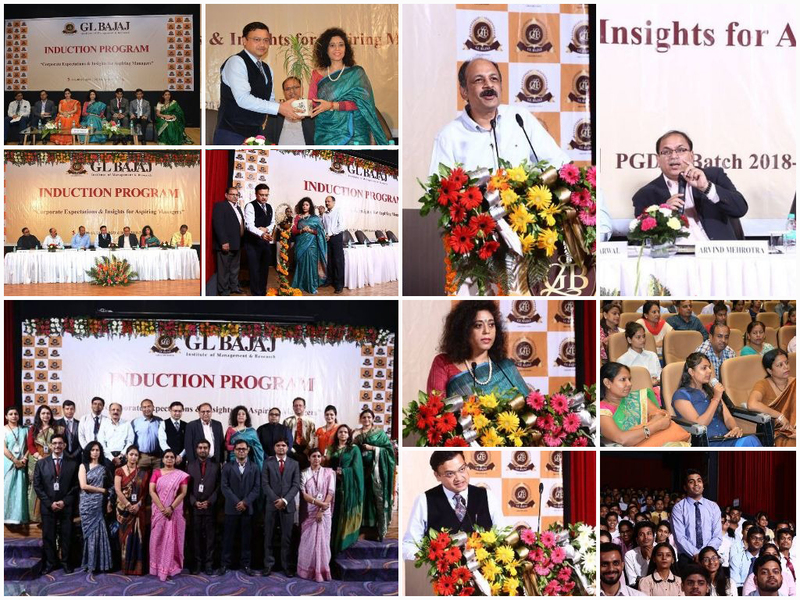 Dr. Makkar welcomed the new batch with warmth and stated that at GLBIMR impetus is not only on providing Management Degrees, but imparting value based Management Education for holistic development of students which has resulted in excellent placements and outstanding summer internship opportunities since inception. She highlighted that the students will have to be energetic and vigilant to achieve professional excellence and transform them. The Guests Speakers emphasized the importance of using innovative pedagogy, customized learning system, research orientation, corporate expectations & value based education. They apprised the students with corporate expectations & role of management program in making them employable professionals. An interaction session with parents was also organized to make them aware about innovative pedagogy followed at GLBIMR. The grand ceremony also witnessed unveiling of Optimization: Journal of Research in Management of GLBIMR. More than 500 audiences comprising of Distinguished Guests, students,parents, media persons, representatives of professional bodies, faculty and staff members of the Institute have been part of the glittering event.The event received extensive media coverage in leading newspapers and online portals like Amar Ujala, Dainik Jagran, Deshbandhu and Tennews.